Max von Laue: K-12 TLC Guide. 2011 Nobel Prize in Chemistry. Berzelius, Jöns Jakob: K-12 TLC Guide. Impossible Crystals Are From Space. Chemistry Art Gallery, The University of Liverpool. Crystal Growing Made Easy, University of Waterloo. How Do Polymer Crystals Absorb So Much Water? The Isometric (Cubic) Crystal System, Indiana University. 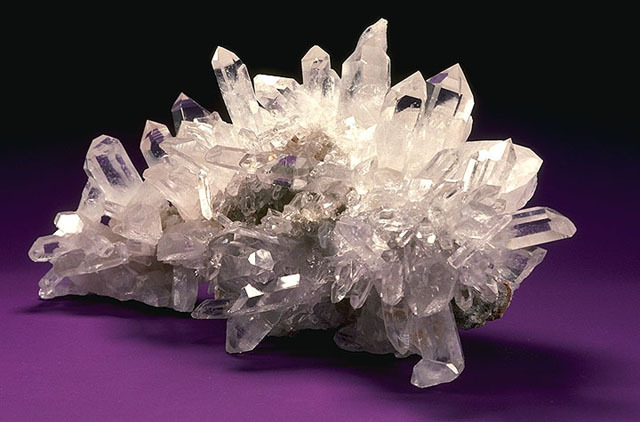 Minerals, Crystals and Their Systems. Molecular Expressions: Exploring the World of Optics and Microscopy, Florida State University. Symmetry, Crystals and Polyhedra, University of Wisconsin - Green Bay. What Is a Crystal?, University of California Berkeley. Hodgkin, Dorothy Crowfoot: K-12 TLC Guide. Perutz, Max: K-12 TLC Guide. K-12 TLC Guide to Chemistry. K-12 TLC Guide to Protein.